Time to discuss the next novel from The Bestseller Code 100 list, Orphan Train by Christina Baker Kline, from a writer’s perspective. Summary: Niamh/Vivian moved with her parents from Ireland to New York City right before the Great Depression. When she loses her parents, she is put on an orphan train to the Midwest with the hope she will be taken in by a family along the way. A couple does take her in, but her journey is a rocky one. Much later in life she meets foster kid Molly Ayer. Although they are different in age, the two might have some common ground. There are two main characters in this novel. Niamh/Vivian is primary main character and she narrates the historical timeline. Over the course of the novel she has different names, which reflect changes in her circumstances. As a child in Ireland, she is named Niamh Power. When she first arrives in Minnesota and she’s taken in by a couple, the woman of the house decides to call her Dorothy Nielsen. Later when another couple adopts her, she takes the name of the couple’s deceased child, Vivian Daly. Each time her name changes, it reveals how the process strips away her identity. When she gets on the train, she leaves behind not only a place, but also who she was. Seventeen-year-old Molly Ayer narrates the modern day timeline (2011). This works well because if Vivian narrated, the reader would learn about things that happened in the past out of order. By having Molly narrate, we discover events as Molly hears about them. Molly’s father died and her mother spends most of her time in jail or prison, so Molly has been in a series of foster homes. She acts out at times. In fact, she meets Vivian because she needs to do community service for stealing a library book. Her teen character adds just the right touch of modern to the 2011 timeline. The novel begins in Spruce Harbor, Maine in 2011. It then travels back to New York City in 1929, where Niamh/Vivian’s family has arrived from Ireland. Before too long, tragedy strikes, and she finds herself on an orphan train headed to the Midwest. The rest of the story alternates between Maine in 2011 and several locations in Minnesota. Niamh’s grandmother gave her a claddagh cross necklace before she left Ireland. What happens to the necklace provides important symbolism in the story. Intertwined with the necklace is Niamh’s perception of her Irish grandmother, which changes as Niamh matures and understands adult relationships in a clearer way. I liked how that growing maturity reflected Niamh’s character arc. Christina Baker Kline has taken on a number of challenges with Orphan Train. She has two main characters, two distinct timelines, and multiple settings to integrate into a single story. It’s a difficult juggling act, but the good news is that she has done an excellent job. I’m not the biggest fan of historical fiction, but this one was engaging. The piece of history Christina Baker Kline chose to reveal was a heartrending one. I admire the author’s ability to immerse the reader in another time, without unintentionally allowing things from the present day to crop in. The contrast between the two timelines was further enhanced by Molly’s narration. 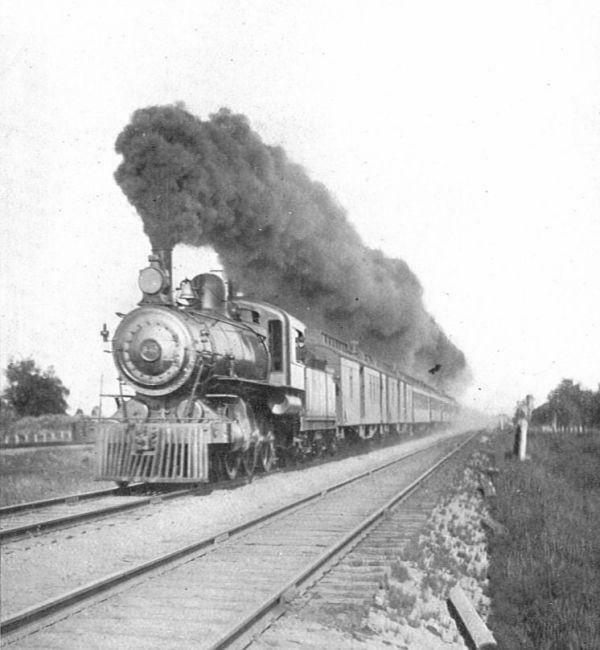 Orphan Train moves forward in a smooth, consistent way, rather like a real train. It knows it’s destination and moves towards it without wandering off the track, taking the reader on an enjoyable and enlightening ride along the way.